No more than an attempt at cashing in on the giant financial success of EA's various Ultimate Team modes, MyTeam remains the shallowest and least rewarding way to play NBA 2K19, despite a handful of new bells and whistles. SuperMax and Pack and Playoffs are gone, Triple Threat allows you to test a three-man team against every current NBA side's top trio, while gem levels and the packs themselves have been switched up, but the concept is largely the same. 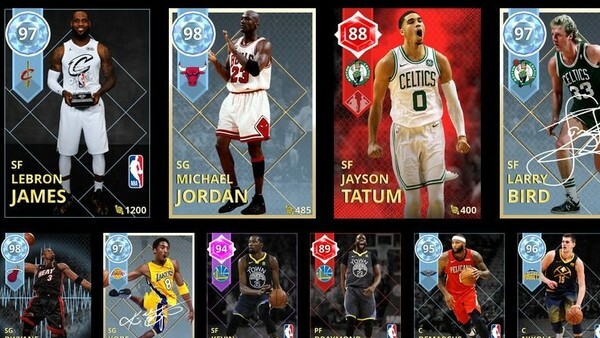 Packs of random cards are acquired using Virtual Currency, and players attempt to assemble an all-time NBA dream team either by grinding through MyTeam itself or splashing out on microtransactions. It's a gamble, and largely unsatisfying, particularly as the sense of progression is so minuscule without diving into your own wallet.